'Bless Naija' is a song that talks about we as Nigerians rising up and taking a stand and speaking positively into our country, we can and should speak positively into our country Nigeria. A proclamation that Nigeria our fathers land is blessed, all we need is one man one woman and all of us to make this country great again. I stand with Nigeria and am ready to work with every other Nigerian to make it work. Sam Bazz - an Abuja based musician and bass guitarist with a deep passion for God and his art. 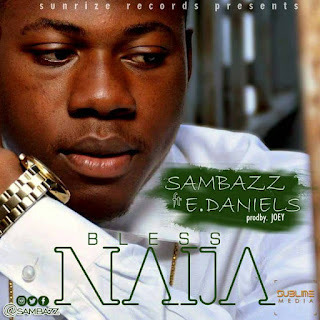 'Bless Naija' is his first single and it features award winning visually impaired Gospel artist - E-Daniels. Recorded and mixed at Sunrize Studios, Abuja.